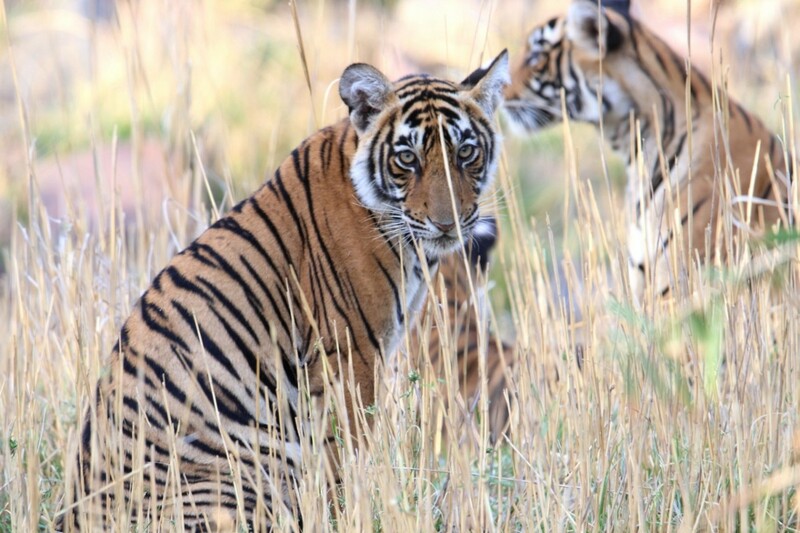 The famous Ranthambore National Park and Tiger reserve is located in Sawai-Madhopur district of Rajasthan. It extends across the Aravalli & Vindhya mountain ranges. The park was first established as sanctuary in 1955 and became one of the first eight sanctuaries to fall under project tiger. It is named after the historic Ranthambhore fort which stands within the park. The memories of its regal past are evoked by the old turrets, mosques, temples, wells & watch towers that are studded throughout the park. 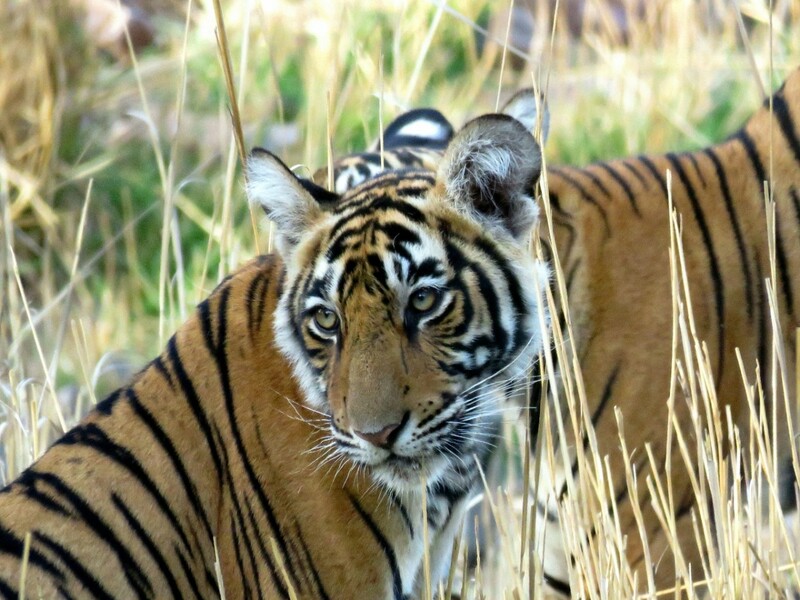 Ranthambhore National Park now covers an area of over 300 SqKm & the tiger numbers have slowly crept to a ground breaking 70 tigers, making it one of the finest “Tiger’s Paradise”. Other than tiger, the park hosts an array of other wildlife like leopard, sloth bear, hyena, deer’s, jungle cat, caracal to name a few. The park also supports a wonderful bird population with around 200 species of birds. I visited Ranthambore in June 2017 & had a wonderful time there, observing & photographing the majestic tiger along with other amazing flora & fauna of Ranthambhore. I was lucky to see four adult tigers & five cubs during my safaris through this mesmerizing forest. 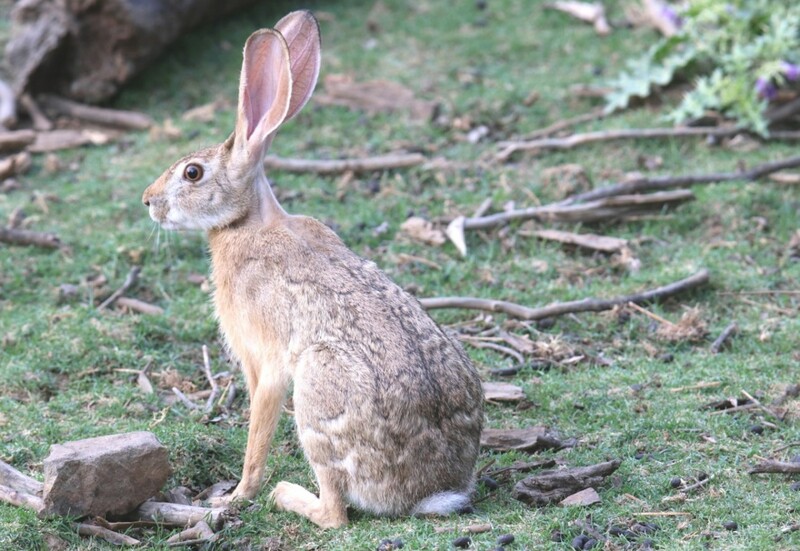 I was able to spot other fascinating fauna like the desert hare, ruddy mongoose, Indian Gazelle (Deccan Chinkara), sambhar deer & the ferocious mugger. I also spotted about forty bird species like beautiful Indian paradise flycatcher, the nine coloured Indian Pitta, Common Hawk Cuckoo, Munias, Barred Button quail, Jungle Bush Quail, Greater painted snipe, owls to name a few. 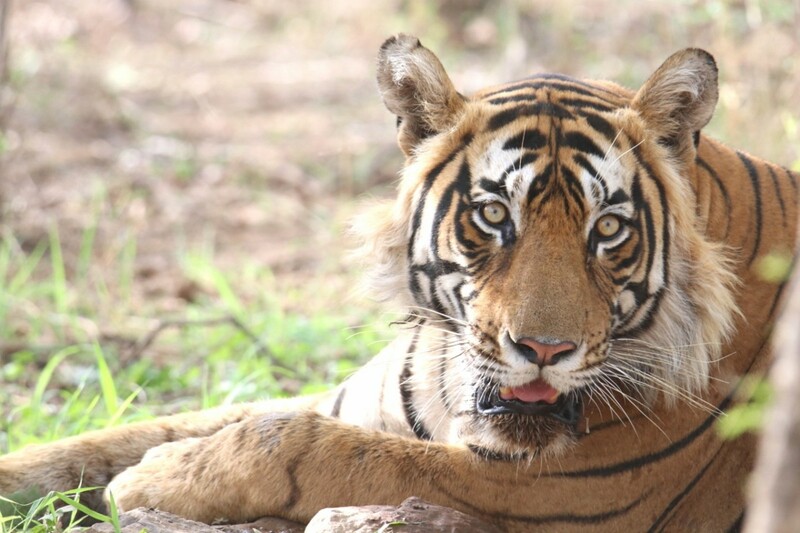 I had read that Tigers in Ranthanbore had undergone a change and had become quite used to the sound of humans. From being solitary nocturnal creatures their behavior has changed as they look to hunt even during day. All this was in my mind when I entered the reserve. 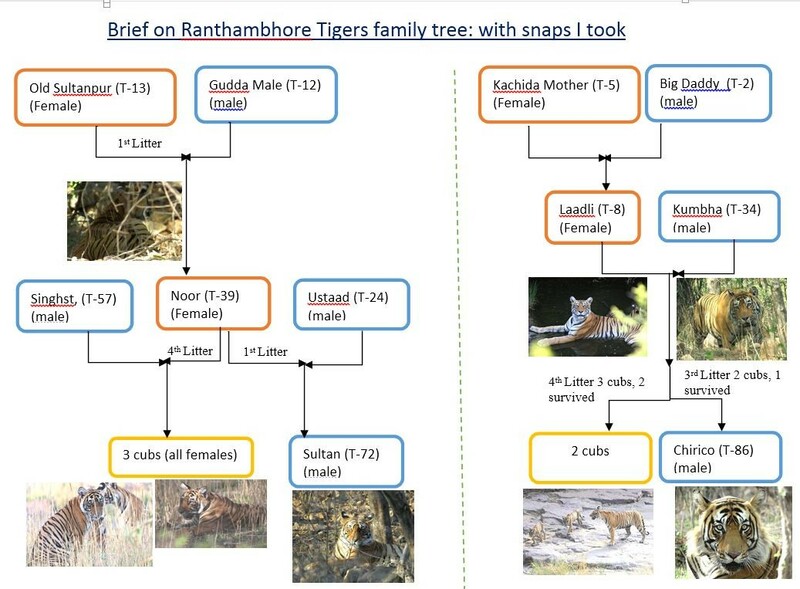 Also each tiger in Ranthambhore has a unique name & number. 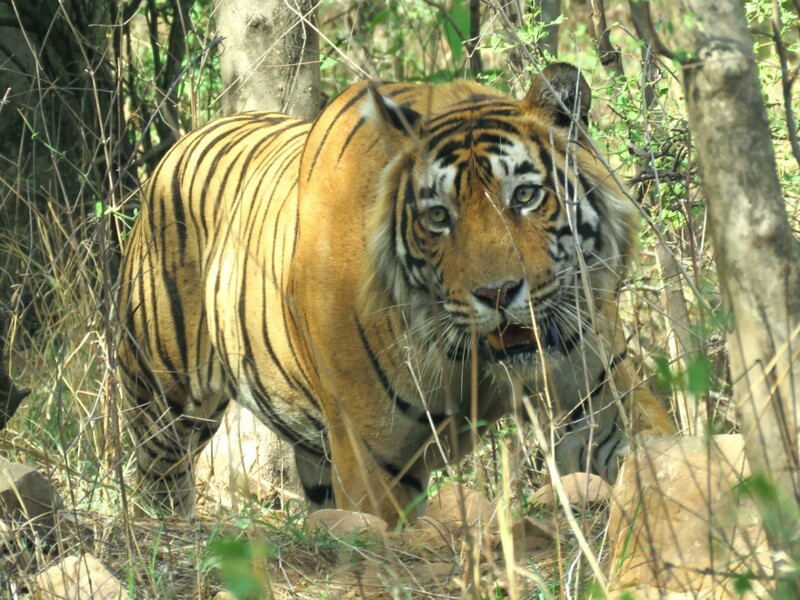 Soon, I was able to sight the huge dominant male tiger, Kumbha (T-34) fearlessly walking on the main road near zone-1. I was also able to sight Kumbha the second time in zone-6, when he was cooling himself in a small water puddle. He was roaring in order to call his family and in few minutes I saw the tigress Ladali (T-8) moving through the dense undergrowth with her two small cubs and joining the party in the pool. I also sighted popular tigress Noor (T-39) & her three female cubs. Noor was relaxing with good late afternoon nap & the playful cubs enjoyed around her. In zone-3 the Chivalric, gallant tiger Chirico (T-86, 3rd litter of Ladali, T-8) was having great time cooling himself in the artificial water point and quenching its thirst by having plenty of water to beat the rising heat. I was quick to grab its picture in action as I held my breath in excitement, it was dream come true to see a Tiger in wild and just few meters away! 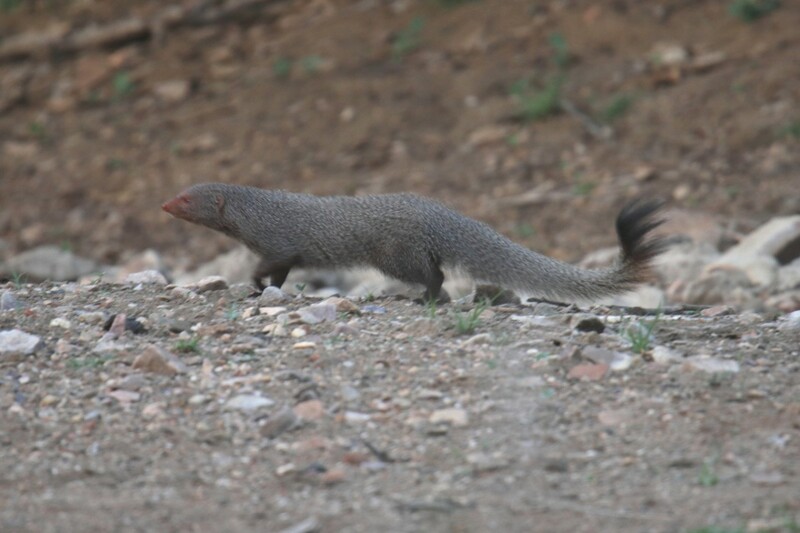 Seeing the ruddy mongoose & desert hare was also a delight. Being a bird lover I was happy to see a wide diversity of birds here. 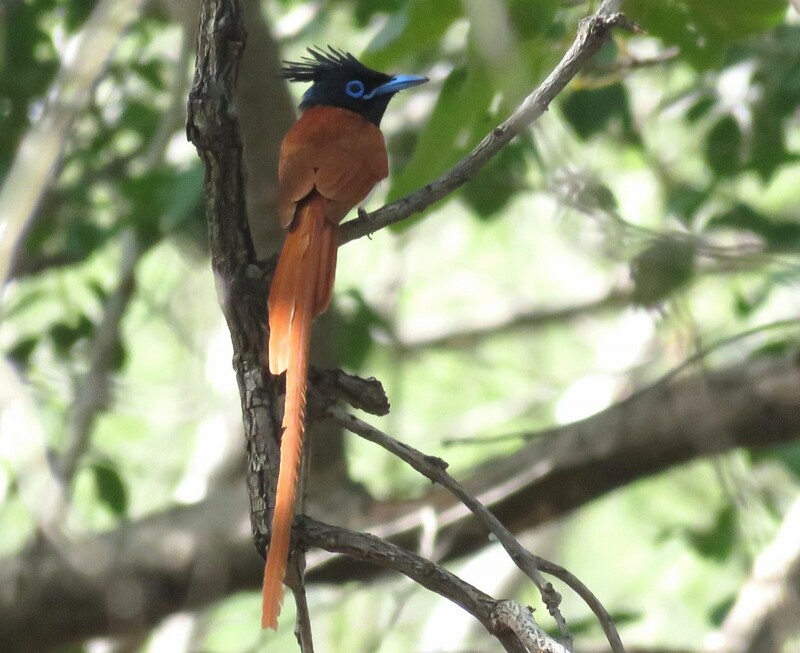 It was a treat to watch the beautiful Indian Paradise Flycatcher with its long fairy-like elongated central tail feathers-the streamers, dipping in the water to cool itself. 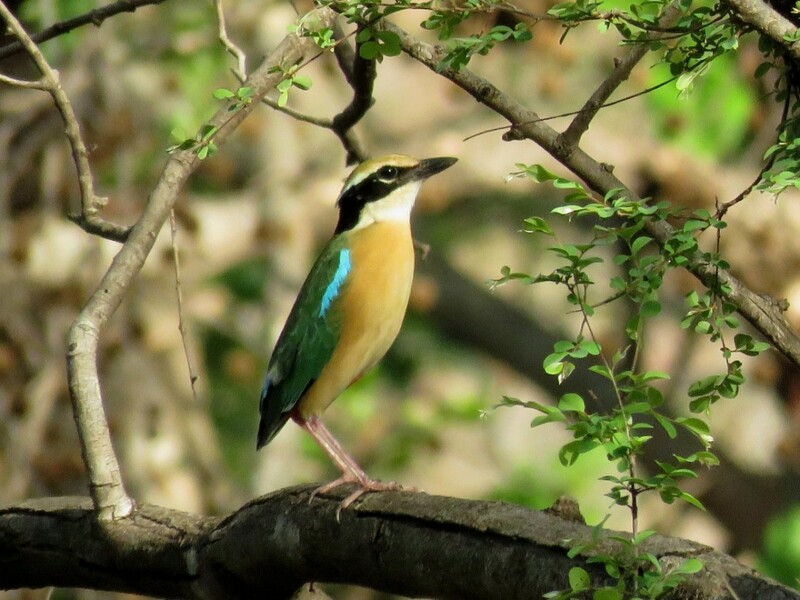 I saw a dozen of brilliantly coloured Indian Pitta with green upperparts and shining blue tail and forewings with bright red on the lower belly and vent. Usually shy and hidden in the undergrowth they hopped and picked insects on the forest floor. There distinctive two note whistling calls came from everywhere at dawn & dusk as we moved in the park. 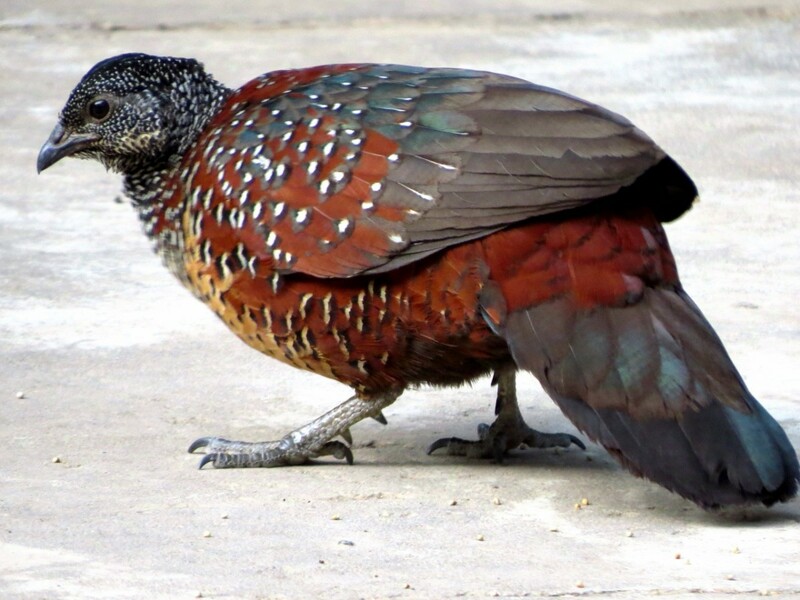 Hearing the common Hawk Cuckoo’s call was delighting & the sighting of a brightly coloured, male of Painted Spurfowl. was bonus. 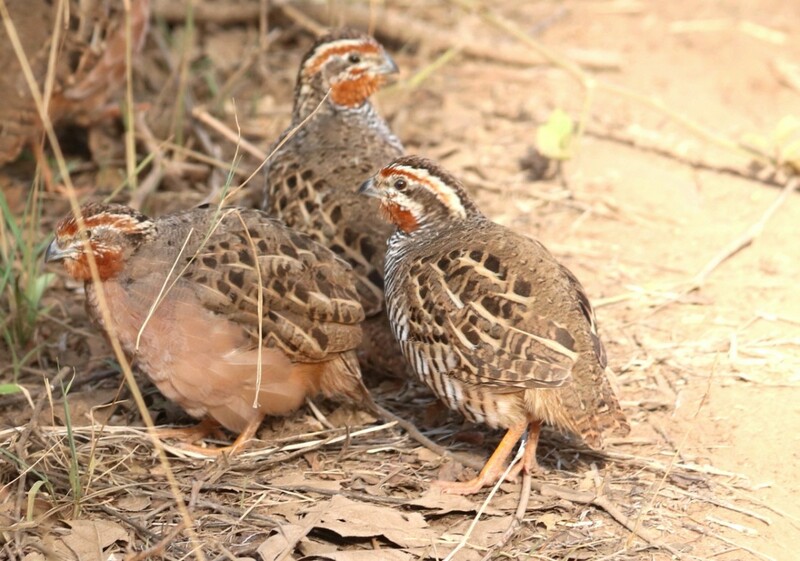 The legs of both males and females had spurs which give them their name. 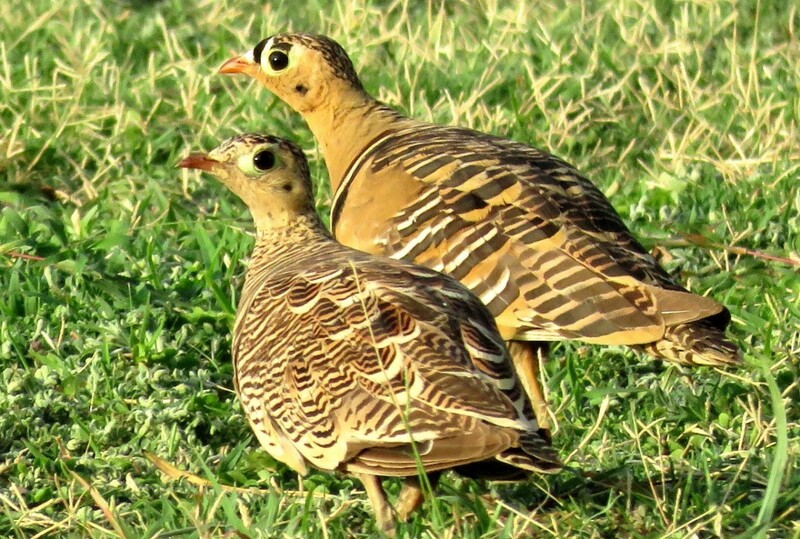 As this was not enough, I was joyful to spot the pair of Painted Sandgrouse, a very rare bird. Male had striking black and white crown pattern while female was heavily barred all over.There short legs were feathered down to the toes. 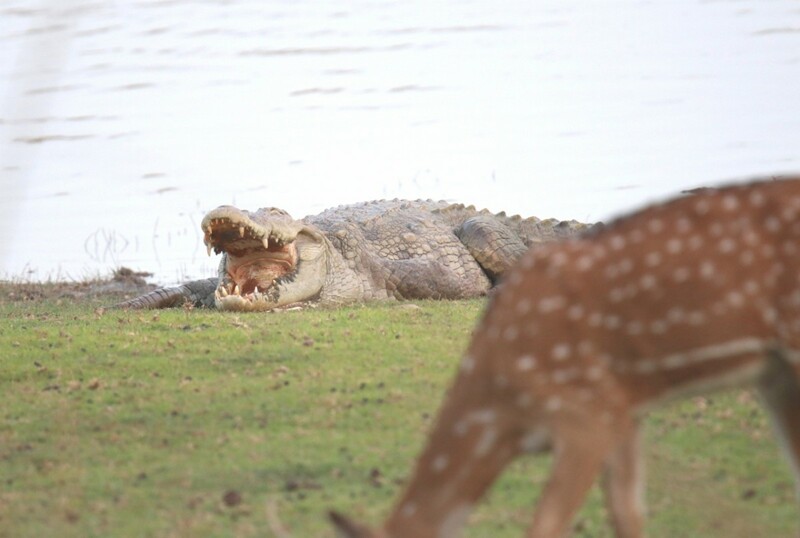 Around water bodies I saw many bird species, like Greater painted Snipe, Thick-knee, Lapwings, along with the gigantic Muggar basking in the sun with its teeth stained in blood. Not to forget our national bird & indeed a beauty to be watched. The dancing “party” of peacocks had filled the forest air with their loud calls and the long tail of some adult males- the “train” must have reached 6 feet long. When I was back from the safaris I was very thrilled and satisfied. 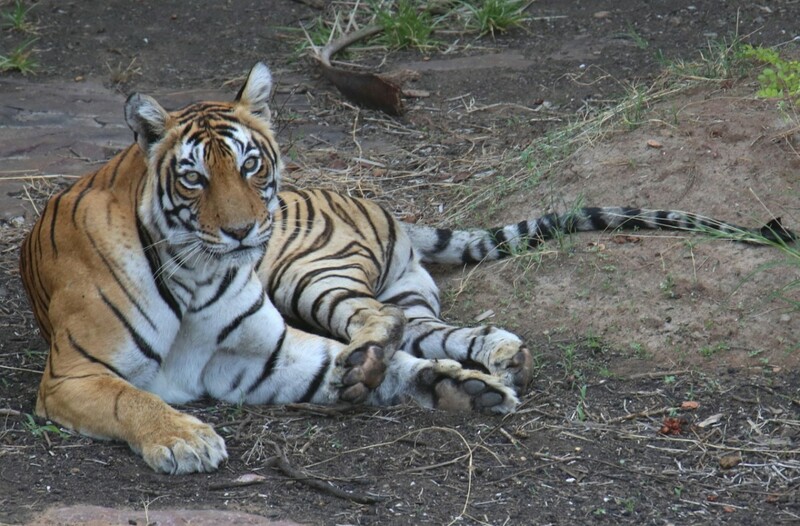 I scanned all my photographs & thought it was certainly a memorable trip to Ranthambhore. I must say along with “Tiger Paradise” this place is also a “Birds paradise”. The sweet & wonderful memories of trip is captured in my heart & I will cherish it my whole life. All of 14 years, Rohan is fascinated by birds from a very tender age. His passion for birds is not just watching and photographing, but he is always in pursuit to acquire information about these winged wonders by keenly observing & taking notes from various places he has visited for past eight years. 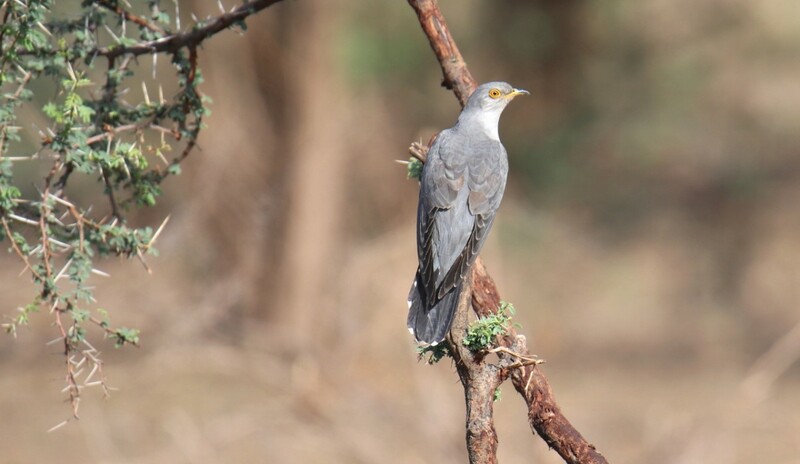 He already has a treasure-trove of over 500 birds species clicked & their observations noted. At present working to write his own book on birds, which he hopes to complete this year.